Amy is an East Texas native, but she and her family have traveled all over the great state of Texas for the past 26 years in the field of education. After being away from the Piney Woods for several years, Amy is thrilled to be back in the area and call Longview home. Amy has been a classroom teacher for the past 6 years while also working as a real estate agent in the North Texas area. She is excited to be a member of Ramsey Realty Group and looks forward to pursing the goals of her clients as if they were her own. She is driven to excel and go beyond your expectations while listening to your needs. Amy’s excellence in customer service gives you the best representation when buying or selling your home. 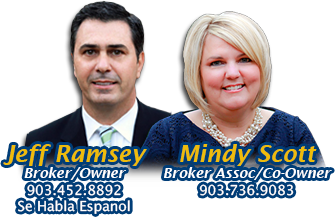 As one of the few agents who is a member of multiple MLS organizations, she has access to properties all over East Texas and the DFW area. When Amy is not assisting a client in purchasing the perfect new home or selling a current residence, she enjoys spending time with her family. Her husband, Steve, is the Pine Tree ISD Superintendent and they love cheering on the Pirates. Amy and Steve have four daughters, one son-in-law and precious twin grandsons. They love spending time outdoors and at Texas A&M. Amy enjoys the fast-paced environment and excitement that goes along with the real estate profession and she looks forward to meeting you and making your real estate dreams a reality!